This week, you got to meet a few other cats who star in their own blogs. Now, you get a peek behind the curtain at the people who run the blogs! 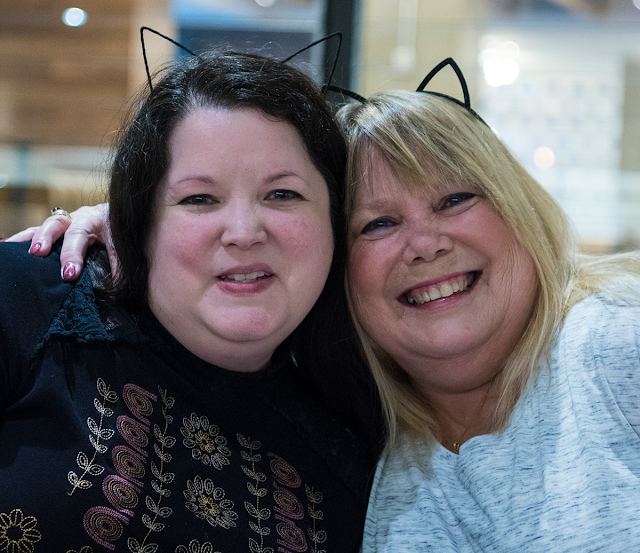 Meet Janiss, Summer's human (Sparklecat.com) and Julie, Cupcake's human from Wednesday's post. Amy is the human behind Instagram's Goodnight, Harvey Monster, and to her right is Paula of Sweet Purrfections. Our Aunt Connie refuses to let us take her photo but she brings Travelin' Jack with her wherever she goes. And when she and Julie and Jeanne and Amy and all the blogging ladies get together, they always -- always -- have to go find an empty cupcake box. 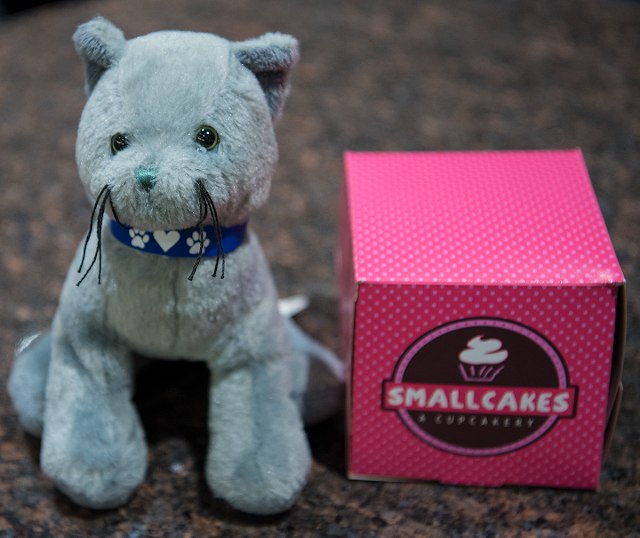 Or put stale bread in it and gift it to Waffles' human, Debbie (who couldn't make it this trip and was very missed!). 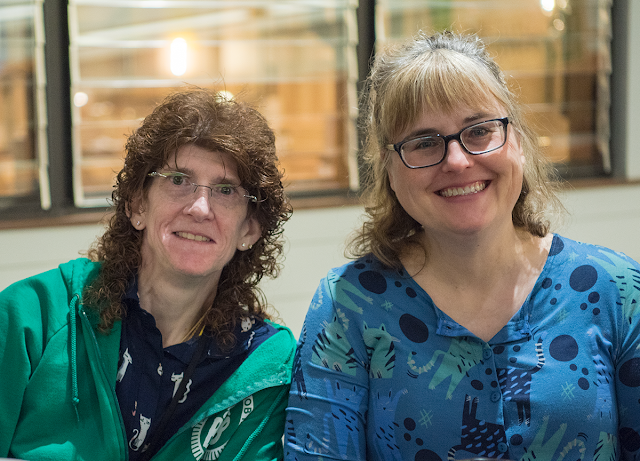 And then there were our special friends we know from Facebook and previous conferences, Celeste and Dee! We were sorry not to be able to show them all the wonders of a beautiful Kansas City spring, as it has been unseasonably cold this year. 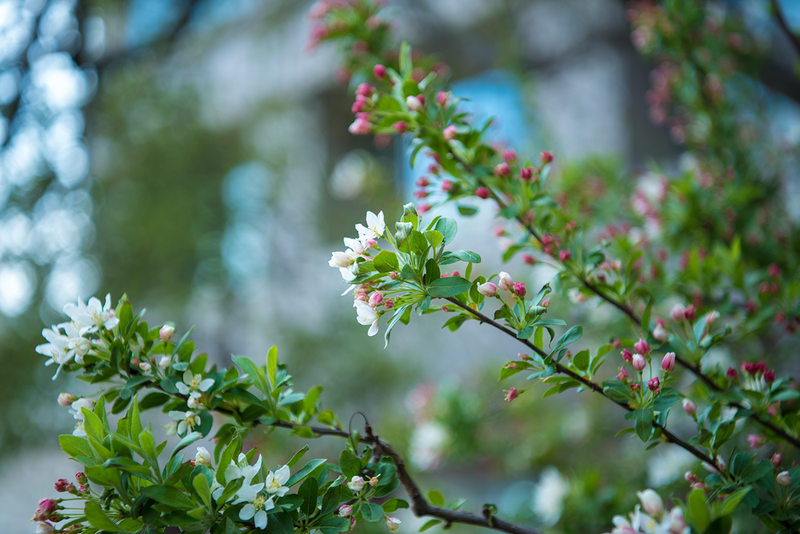 In fact, the photo below is from the lone tree that sported colorful spring blossoms they would get to see -- from a tree just outside the hotel. We were so glad to see them even thought the weather could have been nicer, and we hope you enjoyed getting to meet them too! So lucky to have met several of these amazing women and many other wonderful bloggers this year at Blogpaws. Thanks for giving me a chance to see their smiling faces again. Looking forward to getting to know everyone better throughout the coming year! We missed you!!! I had my fingers crossed that I'd get to meet Maxie. I'm sorry I didn't get to the dinner with you - some other bloggers asked me first so I already had plans. 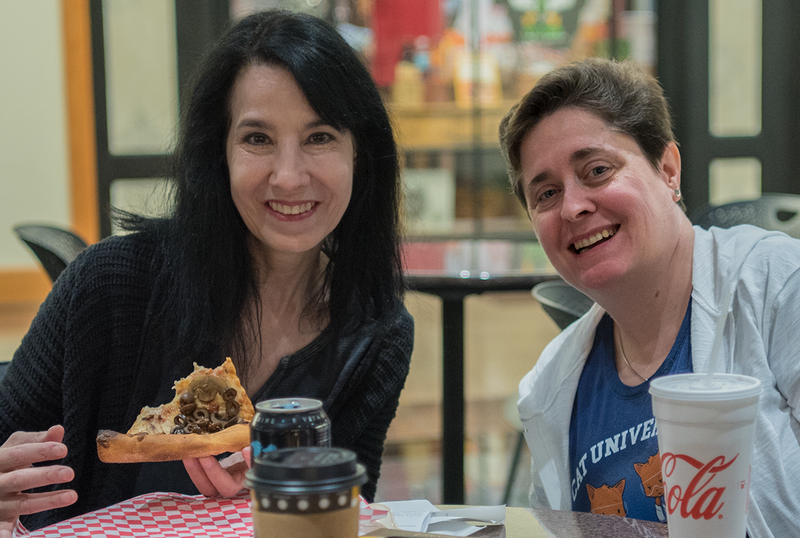 I think it sounds like one of the highlights of BlogPaws is meeting our favorite blogging humans and cats! Mom and my sisters saw some of those folks. The weather was nice in our opinion coming from Minnesnowta. It was nice to see these cat ladies. Great pictures of some dedicate cat ladies. How exciting to get to meet both cats and humans! Travelin Jack is prettier anyway.. I have to say the weather was much nicer than it was at home.. I was glad for it.